When a podcast doesn't just inspire you, but gives you the clear steps to create the garden, pantry, kitchen and life you want for your family and homestead. 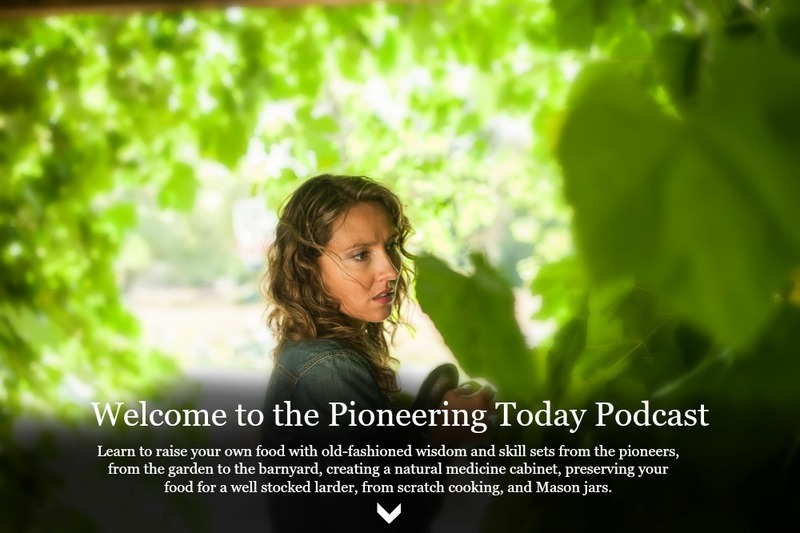 Don’t miss a single episode of one of the best modern homesteading podcasts and radio shows out there. Simply click on each episode (all the way back to our very first) and you’ll find a full article with a play button to listen in, just hit play and your set. Episode #163 Holiday Decluttering Tips for Homesteaders Get Organized Before Gardening Season! Episode #125 Homemade Maple Syrup Guide – How to Tap, Make Syrup & Baking Tips using a natural sweetener, including making maple cream and maple sugar! Episode #114 Dear Forbes, Homesteading and Self-Reliance is a Myth? Episode #88 Is Home Canning Really Worth It? Discover the true cost of both time and money involved. Episode #2 GMO 101 What’s In Your Food? There you go, every single modern homesteading podcast episode of the Pioneering Today Podcast. Which was your favorite?